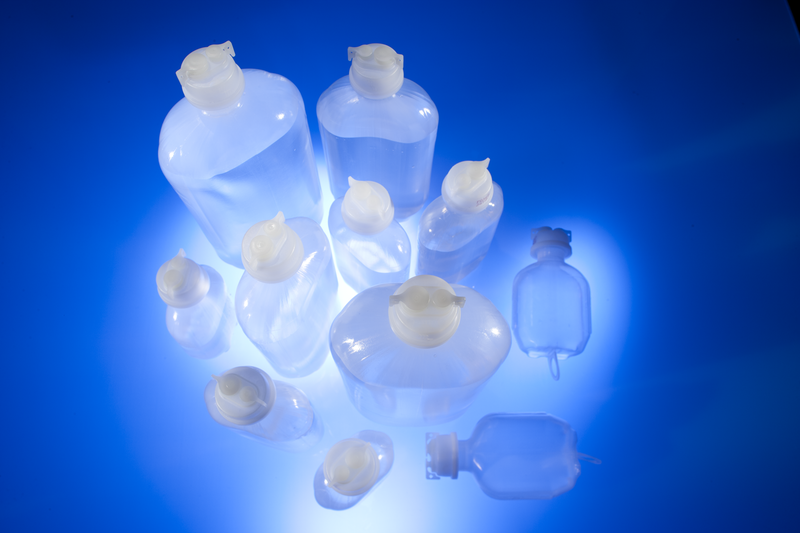 Plastic bottles are flexible, light-weight containers for parenteral drug applications. KabiPac® represents an alternative to glass bottles made of pure polyolefin. KabiPac® is moulded, filled and closed in a single inline, sterile Blow-Fill-Seal process, and is available as 100 ml, 250 ml, 500 ml and 1000 ml containers. Due to the reduced wall thickness compared to standard plastic bottles, KabiPac® has an ergonomic design, is fully collapsible and is extremely cost-effective. KabiPac® bottles are safe and easy to handle, environmentally friendly, and can be used for all standard infusion requirements. They also have excellent drug compatibility and can be safely used for admixing various commonly used drugs. It is self-standing, non-breakable and easy to transport and most importantly has separate infusion and addition ports on its unique Duocap. KabiPac® has a membrane with excellent resealing properties, preventing leakage even if the infusion spike is taken out of the bottle. KabiPac®´s collapsible design means it can be used with a pressure infusion in emergency situations. KabiPac® is a closed container with no air inlet, which reduces the bacterial contamination risk compared to glass bottles.